Total is the latest high-profile company to be ensnared in a foreign bribery case. French energy giant Total has agreed to pay nearly $400 million to U.S. authorities after acknowledging that it paid massive bribes to secure drilling rights in Iran, and the company's chief executive may face a criminal trial in France as well. Total (TOT) will pay $245 million to the Justice Department as part of a deferred-prosecution agreement, and $153 million to the Securities and Exchange Commission. The case was developed in cooperation with French authorities, who have requested that Total CEO and chairman Christophe de Margerie and two other individuals "be referred to the Criminal Court for violations of French law, including France's foreign bribery law," the DOJ said. A statement from France's prosecutor of the republic identified those two individuals as Bijan Dadfar and Abbas Yazdi. Total CFO Patrick de La Chevardière said in a statement that the company "look[s] forward to continuing our work and... demonstrating our strong commitment to ensuring ethical and legal compliance with laws around the world." Total acknowledged that the allegations from the Department of Justice are "true and accurate," according to the deferred-prosecution agreement, but said it "reaffirms that it has not committed any offense under applicable French law." 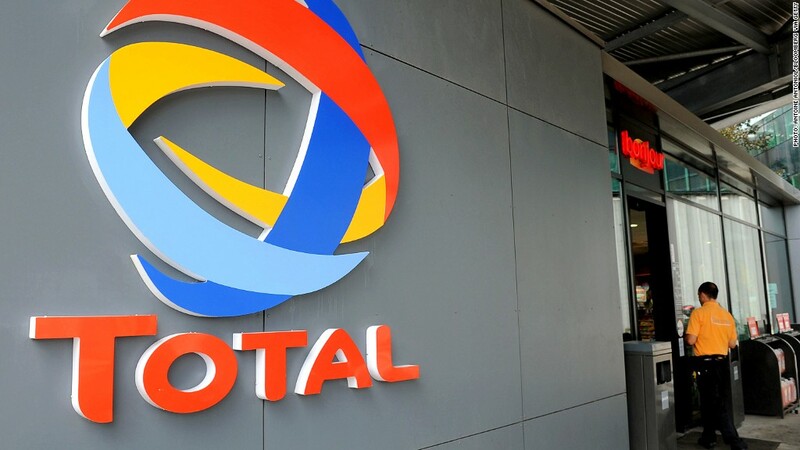 "In the event of a trial, Total and its chief executive for the Middle East at the time will argue that the behavior that they are accused of was completely legal under French law," Total said in a statement to French news agency AFP. De Margerie formerly served as president of Total's Middle East operations. The Justice Department said Total paid $60 million in bribes to a government official in Iran between 1995 and 2004 in an effort to secure oil and gas development rights in the country. Total funneled the money to the official via "consulting agreements" with intermediaries. "Total mischaracterized the unlawful payments as 'business development expenses' when they were, in fact, bribes designed to corruptly influence a foreign official," the DOJ said. Total reaped more than $150 million in profits as a result of the bribes, according to the SEC. The charges in the U.S. case will be dismissed after three years provided Total adheres to terms of the deferred-prosecution agreement, including the implementation of an enhanced compliance program and the appointment of an independent monitor. U.S. officials have stepped up enforcement of the Foreign Corrupt Practices Act in recent years. Germany's Siemens paid $800 million to the DOJ and SEC as part of a global bribery case in 2008. Halliburton and KBR paid $579 million in 2009 in connection with bribery allegations in Nigeria, while the United Kingdom's B.A.E. paid $400 million to the DOJ in 2010 after being accused of making false statements about its anti-corruption efforts to U.S. authorities. CNN's Carol Cratty contributed reporting from Washington.